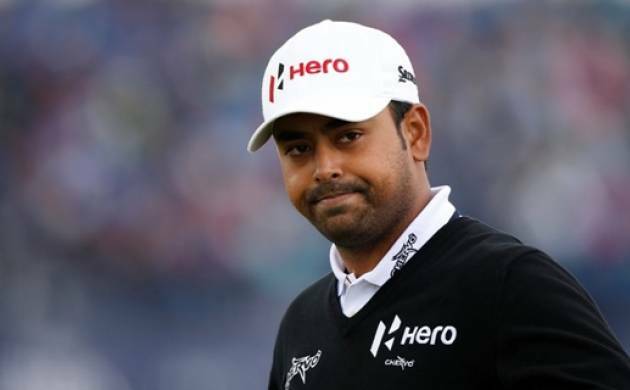 India’s Anirban Lahiri was disillusioned after stumbling to a disappointing five-over-par 76 in the third round of The Open. The reigning Asian Tour number one struggled on the greens on yet another blustery day at Royal Troon, needing 32 putts which included three putting on three occasions as he fell off the pace in the year’s third Major. A double bogey on the second hole set the tone for Lahiri’s difficult day. A birdie on four was the Indian’s only respite as he dropped three straight bogeys from the 10th hole before missing a short par attempt at the last. “You never want to go out on a Saturday and shoot a big number,” said Lahiri, who now stands at four-over-par 217 and well out of contention. Lahiri is determined to pick himself up tomorrow and finish strongly. He knows he must regain his confidence with the flat stick, which he conceded has been a bane all season. “I’m very proud of myself. I don’t think I need to feel bad. I’m going through a phase where I’m not making any putts,” said the 29-year-old. “It’s been the case the whole year. My ball striking stats have been great and I’ve hit it the best today that I hit it all week. When you don’t see a four-footer going into the hole, it’s tough. I shot five over and I three putted three times and missed a two footer on the last hole. “When conditions are like this, it’s difficult to keep it in play, it’s difficult to get it on the greens and I’ve done all the difficult parts. It’s getting the ball into the hole which seems to escape me right now. “It’s frustrating to a point where I have to find it somewhere,” added the Indian, who is making his fourth appearance in the world’s oldest Major. Korea’s Byeonghun An also shot a 76 to drop to three-over for the tournament while countryman K.T. Kim shot a 77 to lie on five-over.